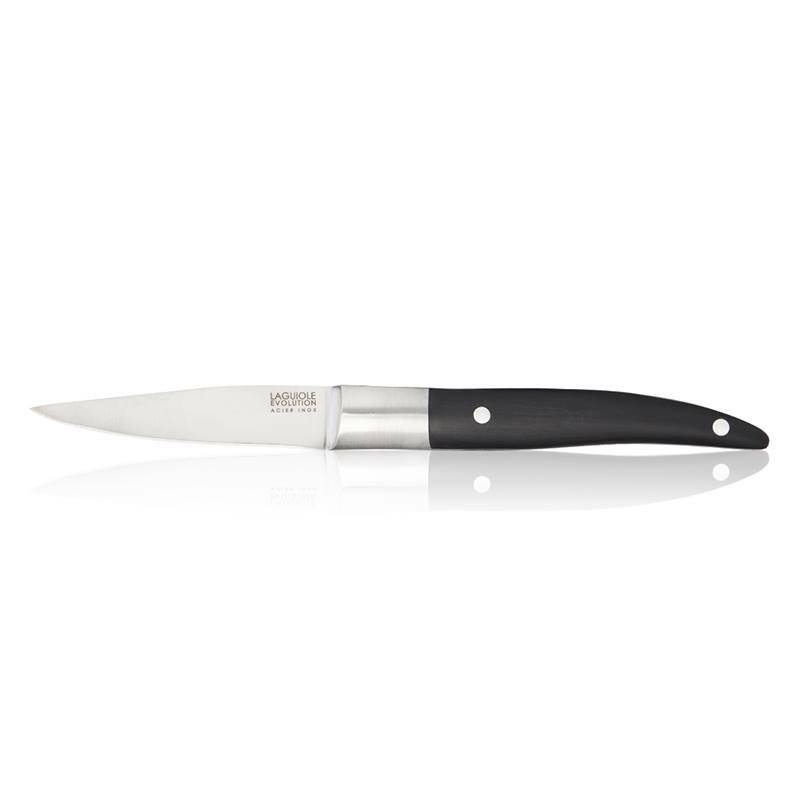 This paring knife is a must have in everyone’s kitchen. Its small size, its manoeuvrability and agility make it a versatile knife that can adapt to all types of cuttings. 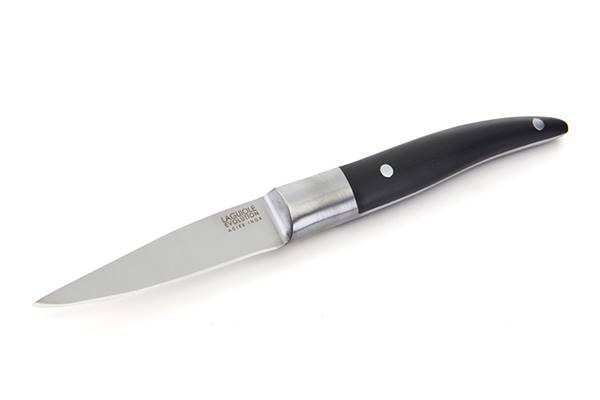 Its high quality tempered stainless steel blade is very short and pointed and enable to work in detail. This kitchen knife is naturally used and facilitates each gesture of the cooks. This paring knife is worldly renowned for its unique know-how. This knife is inspired by the traditional and graphic lines of the famous Laguiole knife. 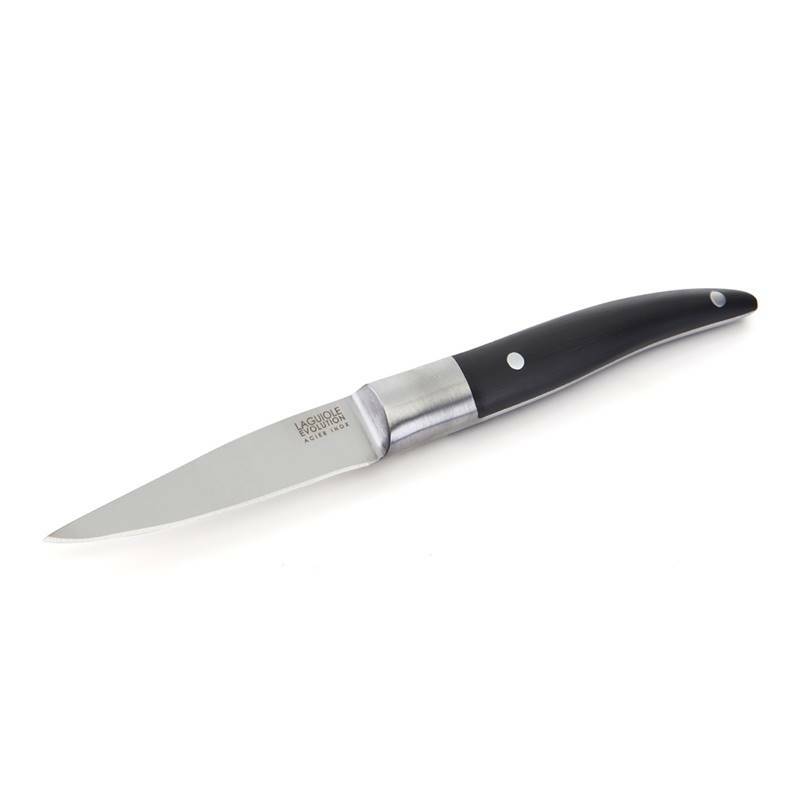 Its full tang blade as well as the large bolster and solid rivets that it is composed of, brings great solidity. 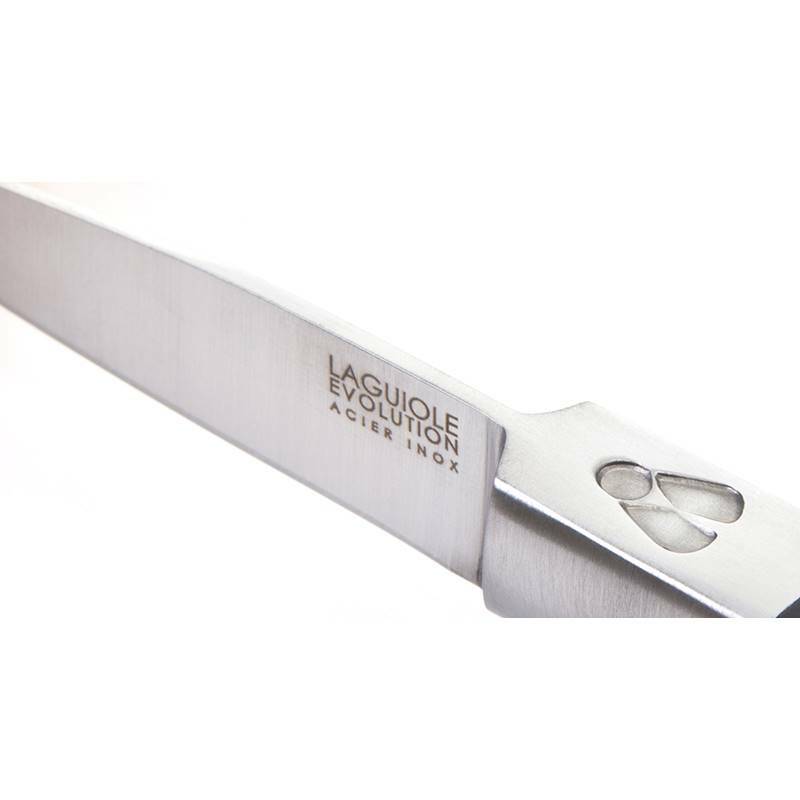 Known to be ergonomic, the handle of this professional knife revisits the specific shape of the Laguiole style to perfectly sits in your hand. 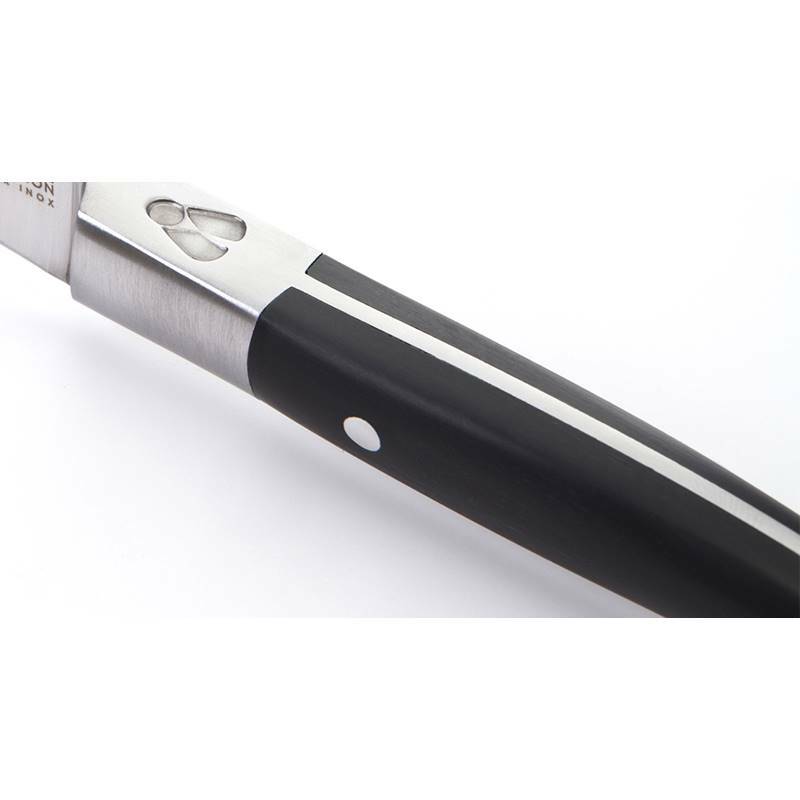 This design knife can be personalised by laser engraving on the blade with a personal message up to 30 characters.